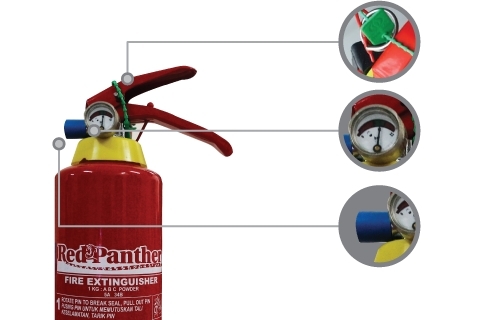 The RED PANTHER range of dry powder fire extinguishers are certified to BS EN : 1996 and manufactured under an ISO 9001 approved quality system.The cylinders are deep drawn rom cold rolled steel, centre welded and pressure tested to twice the extinguisher's working pressure. 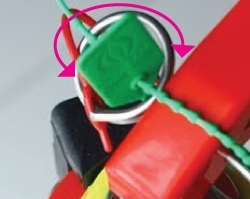 Cylinder are externally coated with epoxy polyster (with phosspate under treatment) for maximum corrosion resistance and have passed the 480-hour salt spray test. 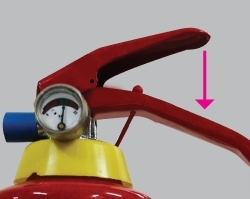 The hot forged brass valve is fitted with a press can be tested 'inservice' as required by BS EN 3:1996. 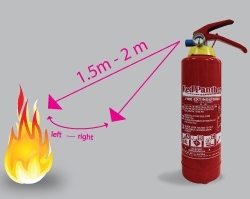 The RED PANTHER range of dry powder fire extinguishers are charge with specially fluidised and siliconised mono ammonium phosphate powder which offer resistance to compaction where the extinguishers installed in a location subjected to vibration and are safe and efective for use on ClassA,B,and C fires under BS EN3:1996 classification of fires.